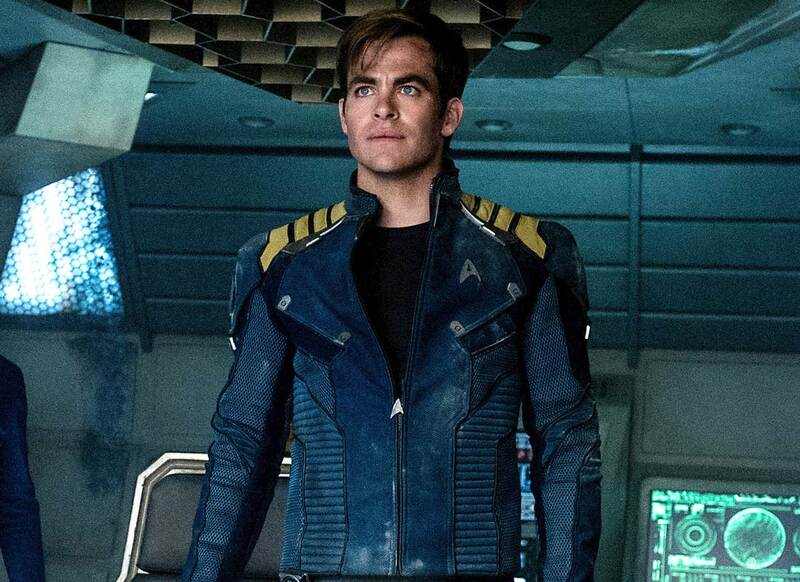 Joyous, rousing and unabashedly focused on the idea and critical need for unity, Star Trek Beyond doesn’t just course correct after the bumpy Into Darkness, but also defines itself as the first of the new Trek that firmly grasps what makes the old so special and how to play that against the more modernized take. The few flaws the film have are noticeable but hardly detract in the most refreshing blockbuster of the 2016 season so far that had this critic wearing a plastered on, ear to ear grin from the opening moments to the close. It’s been an alarmingly dour year, whether we’re talking outside of film or both, but we’ve seen that negativity manifest itself into our media and how studios believe consumption works. Titans growl and stomp, Avengers feud and nearly kill one another and the apocalypse is nigh in just about every summer tent-pole from Independence Day to X-Men. Hope, a simple theme, has been greatly missed this year and Star Trek, both on the big screen and small has always thrived on it. When we reunite with the Enterprise crew, they’re three years into their five year mission to explore new worlds and things have become to grow, as Captain Kirk (Chris Pine) states, monotonous. Despite any and all tricks to try and make the ship feel like home, there’s still a sense of artificiality in the routine of it all, something that makes thrill seeker Kirk go a touch stir crazy. Add to that the fact that he’s about to turn one year older than his father ever did and the dull monotony is twinged with a hint of melancholy over whether he really is where he belongs. Spock (Zachary Quinto) too is feeling pressure about what he should be doing with his life and if he should be aiding with the rebuilding of his culture. This is highlighted when he gets the news that Spock Prime (the late Leonard Nimoy) has passed away. These musings are interrupted however when on what should a simple, if delicate, rescue mission goes array after their stop in Yorktown, a new galactic space town. Their ship is destroyed by a villain named Krall (Idris Elba) in a visceral action set piece that shows the ship being literally ripped apart as escape pods holding the crew speed away into space, only to be captured by Krall and his followers later. A severely injured Spoke and Bones (Karl Urban) are stuck together post escape, while Kirk finds himself with Checkov (Anton Yelchin who tragically passed last month) while Scotty (co-writer Simon Pegg) meets Jaylah (Sofia Boutella) a warrior looking to escape the planet. The rest, including Sulu (John Cho) and Uhura (Zoe Saldana) are kept captive by Krall. There was a bit of worry regarding the film that by splitting up the main cast for a decent chunk of the film was taking away what made this new Trek universe shine so much: the cast and their chemistry. It did just the opposite however as the beginning sets the stage enough for us to know just how much these people care for one another and it makes their journey back to reunite all the more tense with anticipation. In the meantime, it gives characters and pairings times to flesh out what makes them tick. Be it Checkov and Kirk’s adventures that help refocus Kirk or Sulu and Uhura trying to keep members of their team safe with Sulu being an emotional link to Yorktown when it’s threatened by Krall since we know his husband and daughter live there. Jaylah is a wonderful addition to the team and she and Scotty share a sweet, comic rapport with one another but it’s clear from the start that it’s Bones and Spock who will be receiving many of the best character moments. Their characters, in all iterations, have always had a respectful but fraught relationship and that doesn’t change here but it gives them underlying emotions to play with, especially when they believe they’re at deaths door. I mentioned some flaws and there undeniable but ultimately so inconsequential to just how spectacularly fun this film is. The villains motives towards the end are regrettably weak and the action can grow somewhat nauseating in the tight confines of the ships, but it’s more than made up for by the plight of our heroes, the action that’s done with clarity and cleverness and, most importantly, the heartfelt character moments and dynamics that are built and stabilized throughout the two hours. Action packed, yes, but every piece of action is worked through with character motivations and personality traits. This might just be the most character driven film of the two news, “Kelvin” timeline era. The relationships and how they grow past what we knew of them is the most integral part to giving the film it’s beating heart and it’s loud. Hope, unity and growth all lay the groundwork for the thematic emotional pull of the film as our characters strive to be the best they can be. The film promotes the universal ideology that by working together peace can be found and through peace, freedom. That’s there motto. They aren’t a military group, but explorers, something Into Darkness forgot, and they’re never not trying to save lives rather than take them. The comedy makes for a lighter film, one whose tone is more favorable to the self-serious outings of late, but it’s the infallible spirit that makes this such a winsome input into the saga. It comes at a time where hope feels necessary. It’s still big and broad and times, with the blues, reds and yellows of the uniforms standing stark against the white, clinical interior of the ship, with on the nose (but heartfelt) callbacks to the original series and a wickedly terrific Beastie Boys callback to the first film, but the characters make it small in a strong, fervent manner. It’s an episode of Star Trek The Original Series but on a bigger scale and it’s wonderful to behold. Here are a group on exploration enthusiasts who wish to push at the frontier of space to find new lifeforms and accept them with open arms. Their purpose isn’t to conquer but to inquire and learn. Their leading force is hope, their goal peace, and I’m ready for a little of both. Don’t go in looking for perfection, but expect plenty of laughs, a whirlwind ride of action and uniformly great performances, and an astounding amount of spirit.